Neither Al nor I are young and pretty. In that way FoxCT is taking a risk. Young and pretty seems to rule hiring nowadays. Whatever Al and I have transcends age. Well, at least I hope it does. I was going to write about my car today. As I drove past Wethersfield Cove in I-91 the odometer rolled over to 100,000 miles. Nah–too inconsequential. The big story in my news was on our news. I was reunited with Al Terzi after 18 years. Like Cher or Meatloaf all I really need to use is a one word name: I worked with Al today. Say “Al” in Connecticut and everyone knows who you’re talking about. Al and I worked together in New Haven from my first day in 1984 until he left for Channel 3 ten years later. From a selfish standpoint Al was a great on-air partner. He always listened. He always responded. He always laughed at my jokes, even when they were only marginally funny (or not funny at all). He sold me to viewers. Al and I worked with a few partners who didn’t understand how to take one for the team. Again, from my selfish standpoint, that sucked! I suspect some co-anchors had no idea why I was put on Earth. 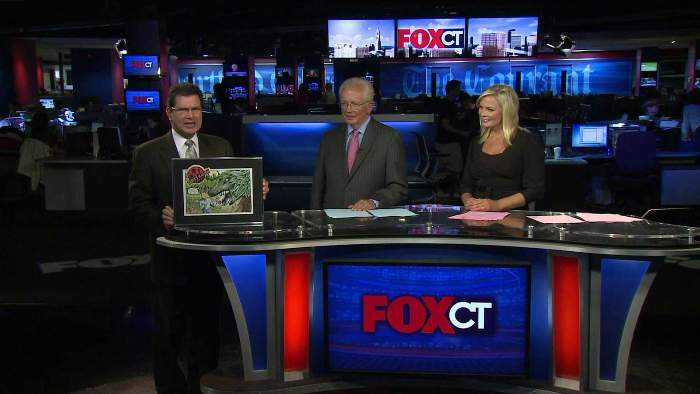 Much of whatever fame I have in Connecticut I owe to Al Terzi! As I watched him anchor this afternoon it was easy to see there’s nothing off his fastball. He’s still got that beautiful read and avuncular authority. Viewers trust him for good reason. This is a very cool day. I am very happy. Does it make me old that I remember the original team and excited to see you guys back together. It all depends how old you were when the original team was still together. I remember Al on WTNH and I’m not *that* old. You looked like a kid at Christmas, Geoff! I do remember back when you two were paired up in the old days. Glad to see it again! You are both young and pretty to me–because you make ME feel young and pretty!!! LOVE YOU BOTH!! AL and Geoff. Together again. Now if you had Ann N. I’d be really happy!!! That’s so awesome to see. Glad you both have found a station that doesn’t prize T and A above intelligence,it certianly refreshing.Now where is Pat Sheehan and the team would all be there?Glad to have both of you back and I can only see good things coming from it. Jeff, Al and Pat were an incredibly great team. I haven’t seen anything come along since that could match it. I applaud Fox for not going with young and pretty. You and Al are still pretty to me and you are as old as you feel. Wishing Al well in his new assignment. You guys are back in the saddle again! can only last so long. eye Candy is nice to look at. I do enjoy it. However when i want the news and weather I will pick experience, intelligence and trust. Uncle Walter wasn’t exatly playgirl material but he was trusted enough to be believed over the president of the United States when he said the war was lost. Joe – There probably needs to be a balance. Television is a visual medium as well as an informational medium.